An Amazon representative admitted the initial wording could easily have been misinterpreted. Cleverly worded job listings by Amazon made it seem as if the company was beginning to assemble its HQ2 team, but the tech giant confirmed Tuesday it still isn't prime time. Two New York-based postings for engineering jobs for Amazon's Intelligent Cloud Control (ICC) division were listed on Jan. 11 and Jan. 13 on Amazon's jobs site, and included hype for its planned HQ2 in Long Island City. "Following Amazon's (sic) recent announcement of the launch of Head Quarter 2 (HQ2) we are building a development organization in New York starting with 50 people in 2019," the job posting initially said. "Our expansion in HQ2 will allow ICC to meet its ever increasing staffing needs and provide the engineering leadership necessary across all of the other Amazon teams we work with that will also establish a base in HQ2 in the future." Both positions are related to Amazon's cloud programs: a "Software Development Manager" to lead a team of engineers, and a "Front End Engineer," who will "build and launch a v1 product for Amazon." After CNBC first reported the job openings Tuesday afternoon, speculation over the tech giant's timetable into the city's footprint spiked. A representative from Amazon said later in the evening, however, those two positions were for its current New York offices and not for the new Queens headquarters. "We haven’t posted roles in our Long Island City headquarters yet, but we’re excited to kick off our recruiting process later in 2019,” the representative said in a statement. The representative said that the original wording and references to HQ2 were meant to build excitement, and acknowledged they could easily have been misinterpreted. The job postings had been updated as of Tuesday evening, omitting the HQ2 references. 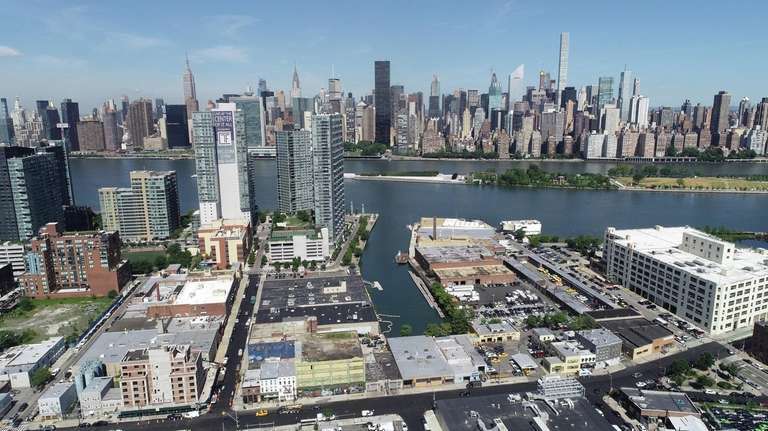 The company is scheduled to move employees into offices at the Citi Tower in Long Island City before heading to a 4 million-square-foot campus in the neighborhood, which is slated to be built over the next few years. The expansion is expected to bring at least 25,000 new jobs to New York over the next 10 years. Amazon's plan — and deal with the city and state, which included $2.8 billion in public benefits — has not sat well with several area politicians, including City Council Speaker Corey Johnson, and City Councilman Jimmy Van Bramer and State Sen. Michael Gianaris, whose districts include Long Island City. Johnson criticized Amazon's executives over their closed-door negotiations and benefits at a special Council hearing in December and plans to have more hearings over the next few months.